The name "Marian Keyes" will be familiar to even the most casual chick-lit reader. Her stories of love, loss and friendship are phenomenally successful. Which is why her battle with depression has come as a shock to fans. "I know I'm leaving myself open to stinky journalists saying ‘What has she got to be depressed about, the self-indulgent whiner, when there are people out there with real troubles?' so I won't go on about it. All I will say is that I'm aware that these are terrible times and that there are people out there who have been so ruined by the current economic climate that they've lost the roof over their heads and every day is a battle for basic survival and I wish I could make their pain go away. But although I'm blessed enough to have a roof over my head, I still feel like I'm living in hell. I can't eat, I can't sleep, I can't write, I can't read, I can't talk to people. The worst thing is that I feel it will never end. I know lots of people don't believe it, but depression is an illness, but unlike say, a broken leg, you don't know when it'll get better. I really don't like hearing about 'illnesses' such as depression or anxiety. Seriously, get a grip.Think of people with REAL illnesses such as cancer or kidney failure. These people are so strong and so wanting to fight for their lives. People with 'depression' or 'anxiety' should be ashamed of themselves. Lets hope they don't get a real illness, they'd fall apart. If only they knew what real suffering was like. Get a grip, make an effort and stop whinging for sympathy, it's not going to happen. Have lost all respect for the lady. She needs to spend some time on a paediatric cancer ward, then she'd see how life can be 'sad'. Pathetic. However, the outpouring of gratitude on Keyes' site shows the value of hearing an influential person write intelligently and persuasively about the disease. In fact, her work has always taken on darker themes, including drug addiction and depression. Keyes herself has never made any secret of her struggles with depression, her battle with alcoholism, and a long-ago suicide attempt. She has also been an outspoken advocate of seeking treatment: "I am a great believer in getting help, in the talking cure and the power of other people...I also believe depression is sometimes the result of a chemical imbalance in your brain and there are drugs to help with that." Her site also provides links and resources on depression. 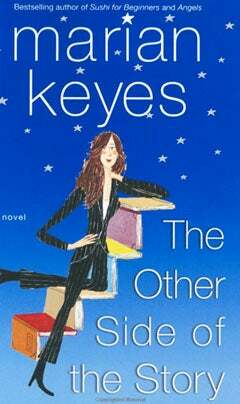 It's funny: the negative comments about Keyes reminded me of some of the more scathing SATC2 reviews, which chided the characters for their entitlement and pouting discontent in a bad economy. There is Carrie Bradshaw being annoyed because her husband orders too much takeout and wants to watch old movies. And then there's real depression, like that which Keyes describes in her latest newsletter. Yes, both are women of privilege. But one suffers from an illness that does not discriminate, another was invented - as were her problems. I'm struck by in both cases, critics (like the Daily Mail) focus on the fact that the women are rich and have husbands - in Keyes' case, "a husband who adores her." As if these things are, indeed, enough to ensure happiness - even when, in the real writer's case, part of her success has come from her sensitive understanding of mental illness and depression. But what Keyes describes will not be fixed by a diamond or a camel-ride...even if screenwriters and strangers think it should be. But while she may not be able to write fiction, what she is writing could potentially be even more influential.